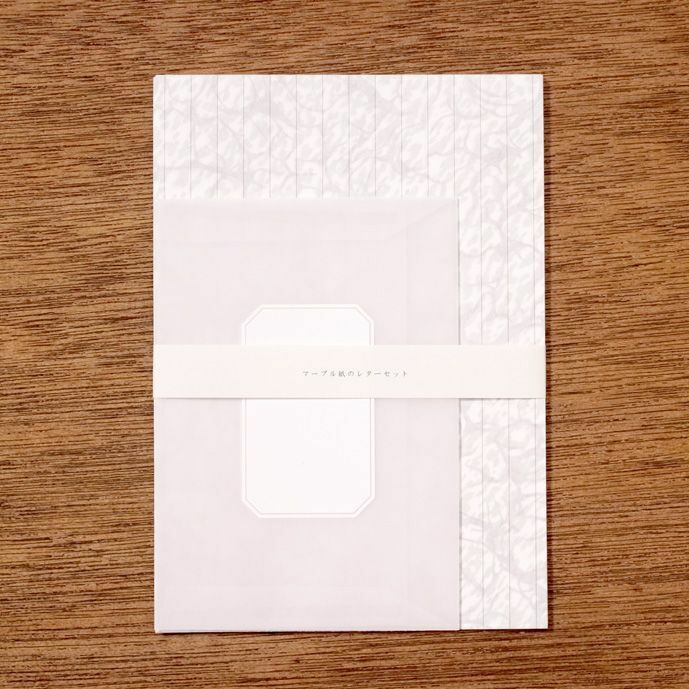 Set of marbled paper letter sheets and translucent envelopes with lavel printed. 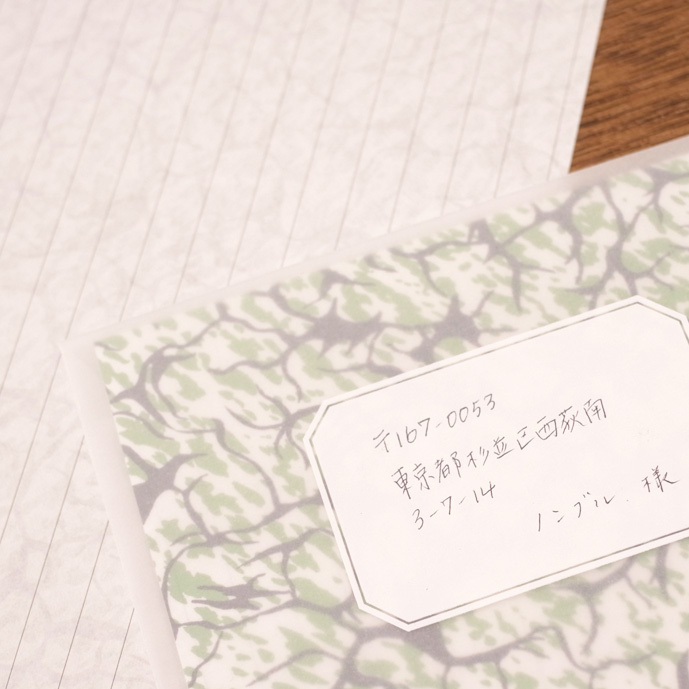 The see-through marbled pattern makes your letter special. Set includes 10 letter paper and 3 envelopes.